← Robot Cars Pick Up the Pace In Florida! When you calculate the costs and benefits of outsourcing, most of the time we only calculate the obvious costs. We calculate the exchange rates, the cost of space, wages, taxation, electricity and equipment. Some look further and examine the education system, political stability and the probability of dangerous weather. But few firms analyze, or are capable of analyzing, the maturity of worker safety in a country or location. We forget how recent, and how rare, our own worker safety rules are. We also forget how recent most of the laws are that protect workers and the neighborhood around factories and warehouses. Even when you do choose to dig a bit deeper and see that your contract includes sections on safety, the maturity of worker safety rules and infrastructure outside of your worksite can have a dramatic impact. 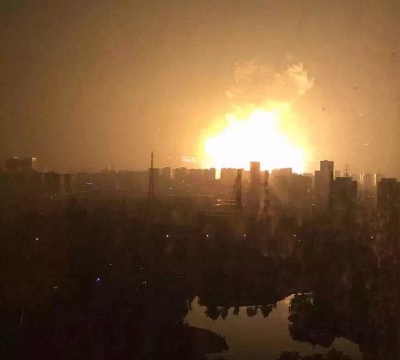 In August (2015), there was a massive explosion in Tianjin, China. Tianjin is in the middle of a government economic development zone, which contains a seaport. It is not at all surprising that this is where you can find heavy industry and chemical manufacturing. The rapid growth here was perhaps too rapid for Rui Hai International Logistics, the firm that owned the facility that exploded. Rui Hai was a specialist in shipping “dangerous chemicals”, and dealing with the paperwork and special knowledge needed to ship explosive and poisonous substances. The explosion, which killed 150 and injured over 700, is still being investigated. Given the nature of Rui Hai’s operation, there is a great deal of concern as to what was in this building. The chemicals that exploded were only a part of the building’s contents. The explosion, deadly was it was, may have spread even more deadly hazardous chemicals into the air. Is the entire area contaminated? Is it safe for people to return to their homes (if they still have homes)? Can the survivors of the explosion expect deadly side effects years from now? This was a terrible tragedy, but it is tragedies like this that call attention to long overdue safety issues. Should this building have been located in the center of a city? Are there specific building codes when a facility handles explosives? Is the nearest firehouse and hospital aware of the chemicals they have on-site, and are they prepared to deal with their effect on the injured? Does the building have the insurance to cover payments to any parties that might be injured? These are the questions that are now being asked. Almost certainly, the answers will not make the survivors happy. But it is this process of shining the light on bad government decisions, corruption, inadequate regulations and poor enforcement that creates improvements in worker safety. We shouldn’t be too conceited about our own worker safety rules. Today they are among the best in the world, but that wasn’t always so. Some of the newest factories in China, especially in high tech, are close to US standards for safety, at least on paper. But not that long ago, most of the US wouldn’t have been able to meet current standards. The standards the US had just a century ago, looked a lot like China does today. In 1911, in New York City, 146 workers burned to death at the Triangle Shirtwaist Factory, a typical textile factory of that age. The Triangle Shirtwaist Fire was the turning point in US worker safety regulations. This tragedy was not an exception. In Nova Scotia, Canada in late 1917 a ship pulling into port loaded with explosives blew up, killing 2,000 and injuring another 10,000. In 1947 in Texas City, Texas a ship that was loaded with fertilizer exploded, killing 581 and injuring 5,000. Today, the US and other advanced countries still have industrial accidents, but the extent of the damage is limited because of safety regulations. Perhaps the most important industrial safety rule is: if you produce, store or transport dangerous materials, KEEP IT AWAY FROM POPULATION CENTERS! Accidents will happen, but when accidents happen around people the scale of the disaster is magnified. Plan so it doesn’t happen! Outsourced locations often have a poor or missing record for worker safety. It’s not as good as the safety record in the west, but it’s better than the record was in the past. In China, some of the most dangerous industrial chemicals produced today are the result of outsourced work, in the 1990’s or later. By the 1950s and 1960s the US and Europe learned their lessons and built new factories and storage facilities in safer locations, minimizing danger to the surrounding community. China and other outsourcing locations are only now learning those lessons. China isn’t any different from any other country. Every country only puts factory and worker protection in place after they experience their own Triangle Shirtwaist Fire…. Or Tianjin Explosion. 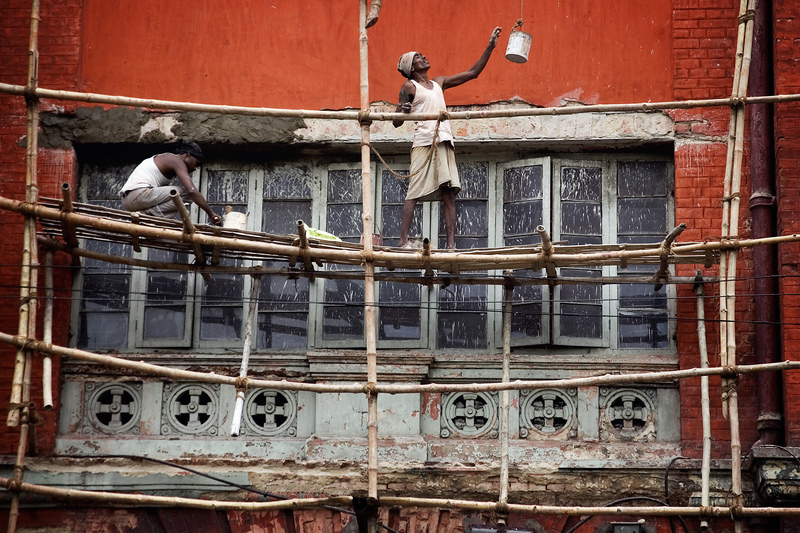 When you are ready to outsource your work, ask your vendors about the worker safety in their country. If your told that they never had any major disasters in their city or country, it may not mean that they are safe… just that they’ve been lucky so far. And that’s my Niccolls worth for today! Great post, Chris. It gives us all a lot to think about. Very good piece, enjoyed it. Unfortunately even with our great worker safety rules it still comes down to ethics and politics. We still have business owners who have no problem sending workers into extremely hazardous conditions just to fill their own pockets with cash. OSHA’s budget is always under attack and shrinks reducing efforts to keep workplaces safe thanks to efforts of lobbyist. Even more reason to never keep quiet about workplace safety.